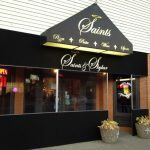 Saints: St. Matthews– Although it’s primarily a Packers Bar (ironic right? ), they’ve got a t.v. everywhere you turn. With local beers on tap as well as good food, this is a great place to watch the big game. 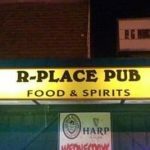 R Place Pub: Lyndon– Yeah, yeah the Steelers are out of the Super Bowl, but R Place is still a great place to watch the game. A bit smaller than other bars, but as with most bars, there are T.V.s located everywhere- including outside! 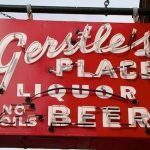 Gerstle’s: St. Matthews– Although it’s considered a Vikings watch bar, Gerstle’s has a lot of room to move so it doesn’t seem overcrowded and has multiple T.V.s in each section of the bar. For those who don’t want to watch the game or want to stop watching their team lose, Gerstle’s also has billiards. 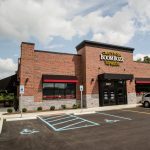 Wick’s: Baxter– Who doesn’t look pizza and beer? Wick’s has some of the best pizza in Louisville and some great beer specials. Check out their local website to see what’s offered. Even though they are mainly a Bengals/Redskins bar, don’t let that deter you from experiencing the game at a booth or table eating some delicious pizza. Kaiju: Oak Street– Want a large screen? Is a 16ft screen big enough? Kaiju located downtown provides the best game day experience with drink specials and a large screen to watch it on! 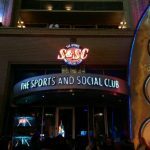 Sports and Social Club: 4th Street– This place has it all- bowling, televisions, food and delicious drinks! If you want to watch the game on 50 televisions, this is the place for you! 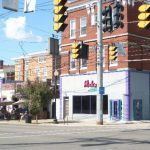 If your team wins, celebrate with other fans on fourth street at the many bars and restaurants located right on Fourth Street! Boombozz: J-town or Westport Village– PIZZA AND BEER! Bombozz offers the comfort of a table or booth with some delicious food to watch the game. If you don’t want to get too rowdy and head to a downtown bar, Boombozz is the place for you!